More than just getting wet! Swimming at St Edward’s caters for the entire range of abilities and suits all aspirations from competitive swimmer to those simply keen to get fitter. Swimmers are encouraged to take part in other sports and we aim to develop excellent all-round fitness. 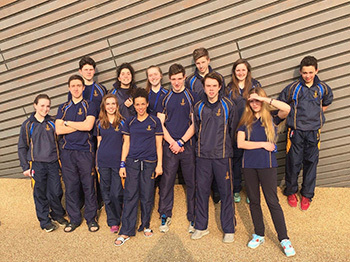 Many accomplished swimmers come to St Edward’s and get involved in new sports. Such swimmers are always welcome to train and compete for the school whenever they can. Pictures show pupils taking part in the Bath Cup at the Aquatics Centre in the Olympic Park, London.